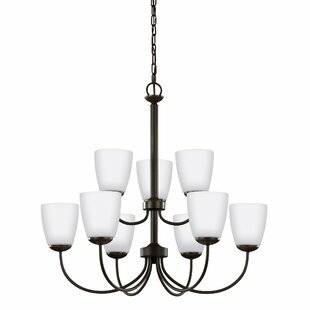 A modern form with industrial inspired accents are featured in this chandelier. 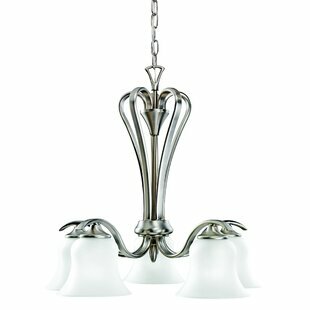 Double prismatic glass shades provide a beautiful illumination effect. 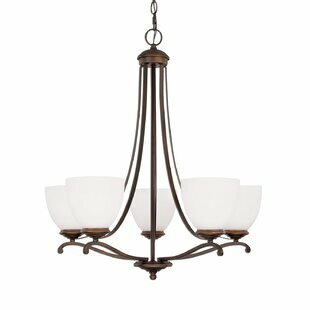 Visual interest continues with a 3 spoke design that holds each glass shade. 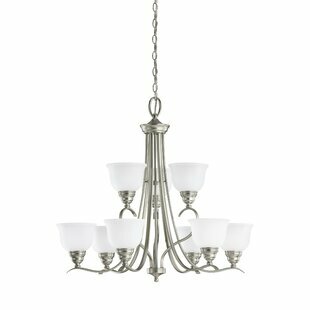 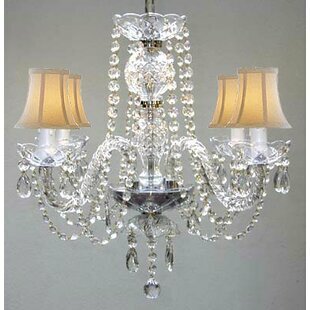 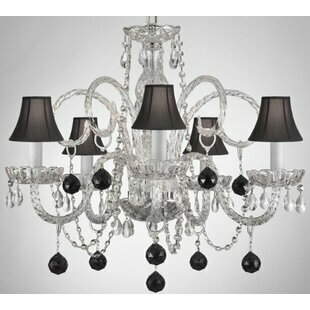 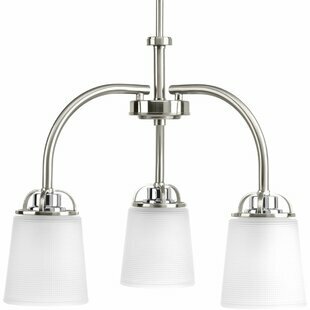 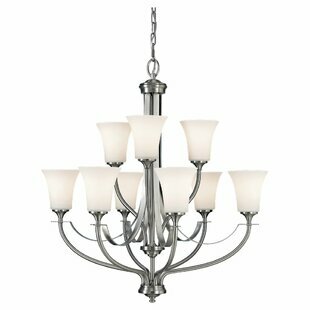 Number of Lights: 3 Fixture Design: Shaded Chandelier Adjustable Hanging Length: Yes Fixture: 16.13 H x 20 W x 20 D Overall Weight: 9.9lb.